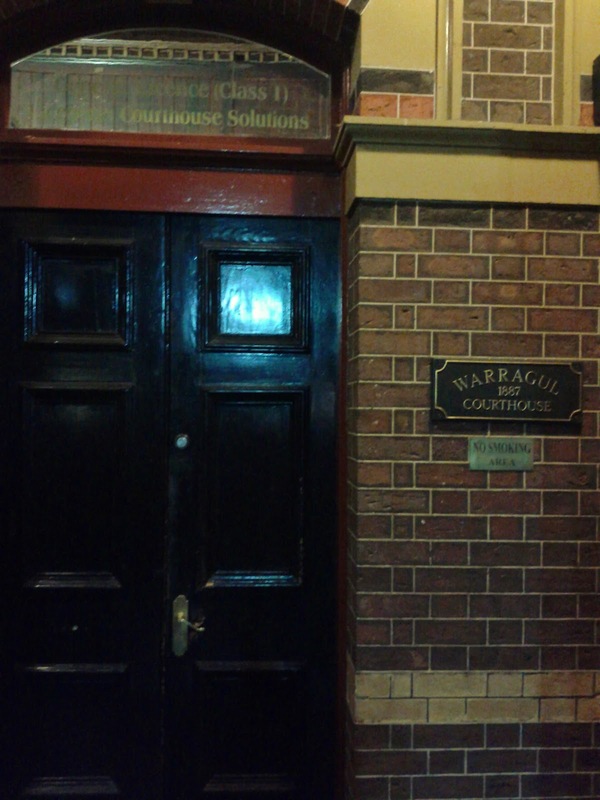 We'd visited The Courthouse in Warragul a few years ago at lunch and we returned recently on a Wednesday evening. ...and began operating as a restaurant in '96. 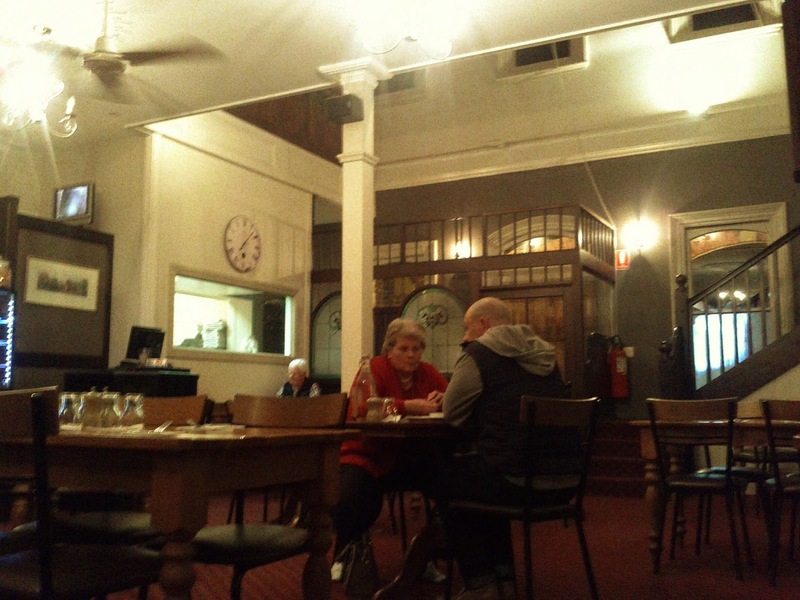 Inside the building retains plenty of original touches, yet also suits its new function well. There were several other diners in, but we were lucky and got a spot next to the fire. The menu included a number of sections, including meats, pasta dishes, risotto's and pizza's. 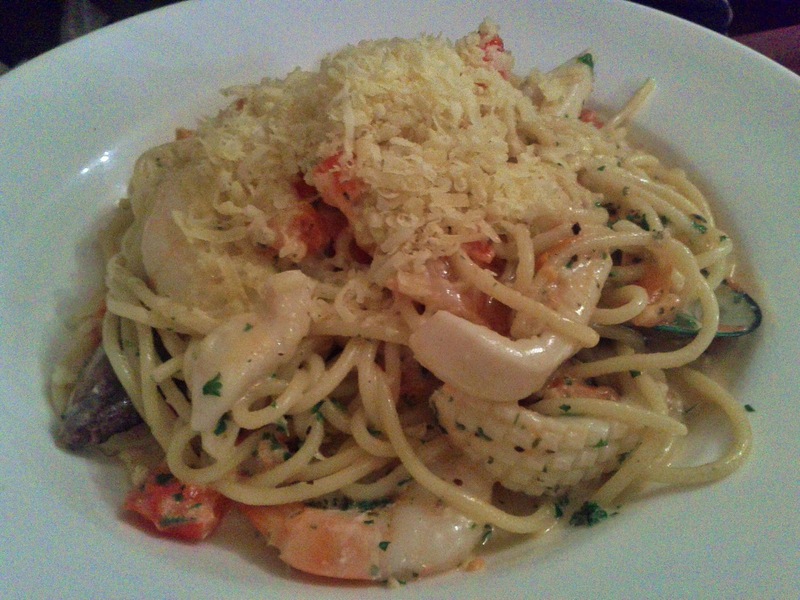 The spaghetti marinara features some enormous prawns, scallops, mussels and calamari, in a light creamy sauce. 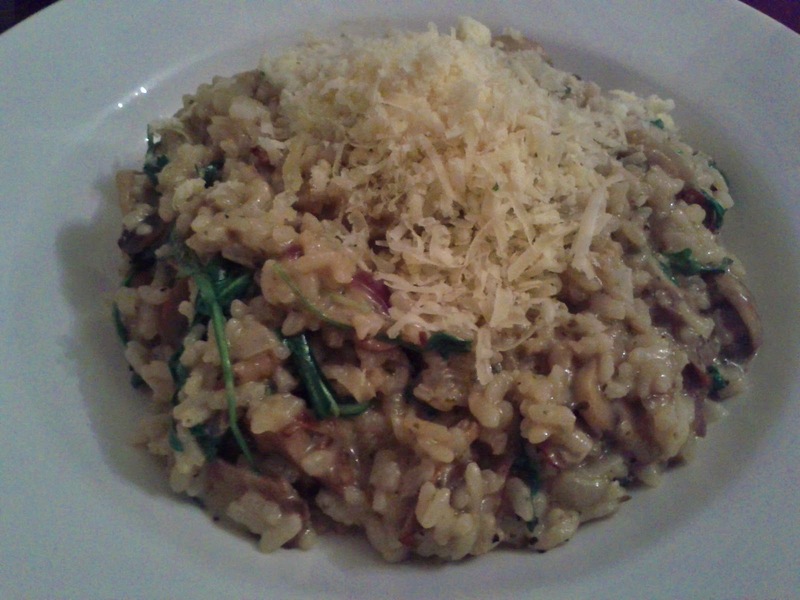 I had the risotto di funghi which also contained red onion and rocket. It was well cooked and packed with mushrooms flavour, and I rapidly worked my way through the large sized portion! We accompanied our meal with beers from the Grand Ridge brewery which is located not far away in this part of Gippsland. 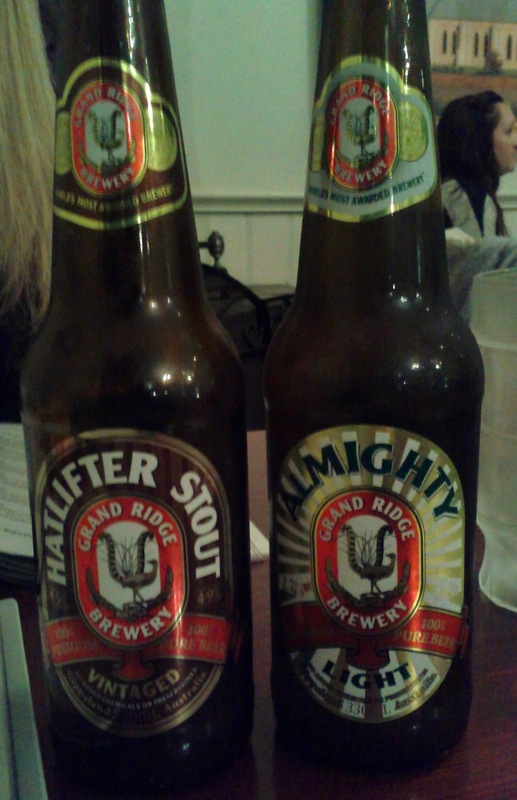 The Almighty was pleasant and flavoursome for a light beer and the hatlifter stout was full of coffee and chocolate flavours. 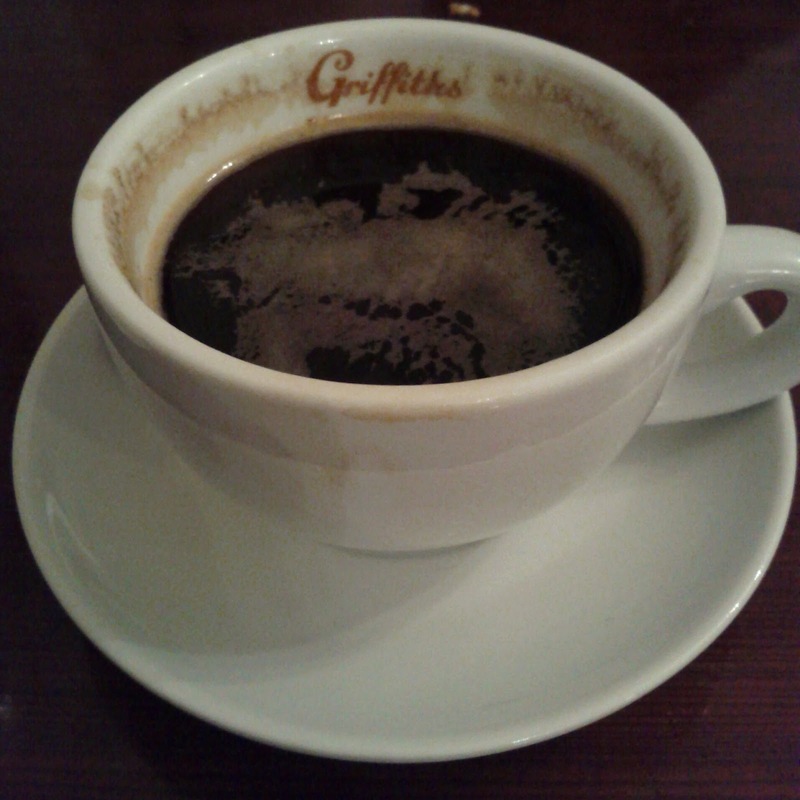 My long black was a little longer than I prefer and somewhat on the bitter burnt tasting side. 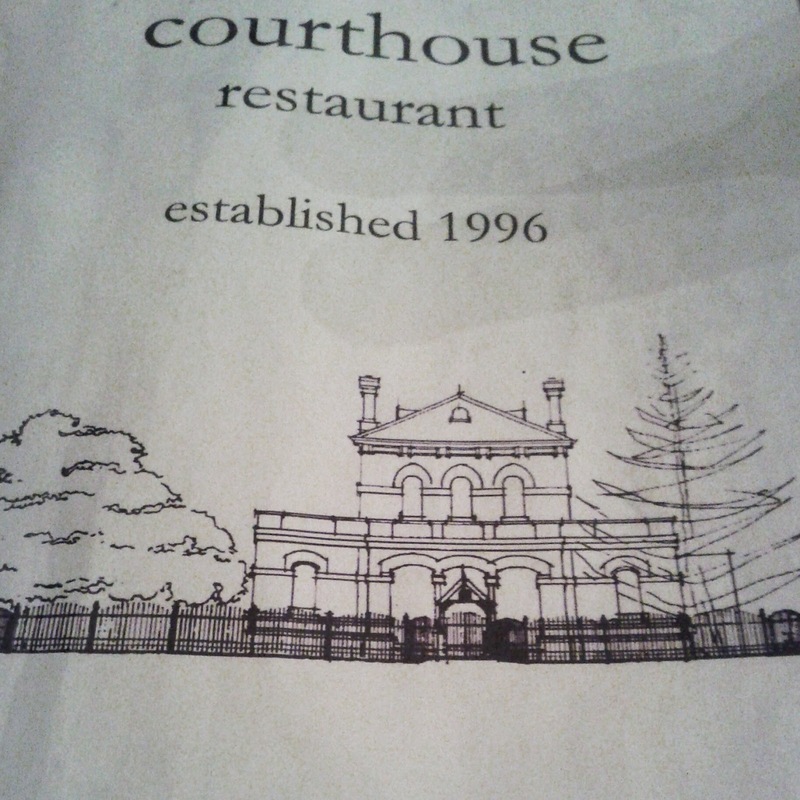 The service was friendly and pretty swift given that two wait staff seemed to be looking after us all. The bill came to $70 including a few drinks and was fair value. 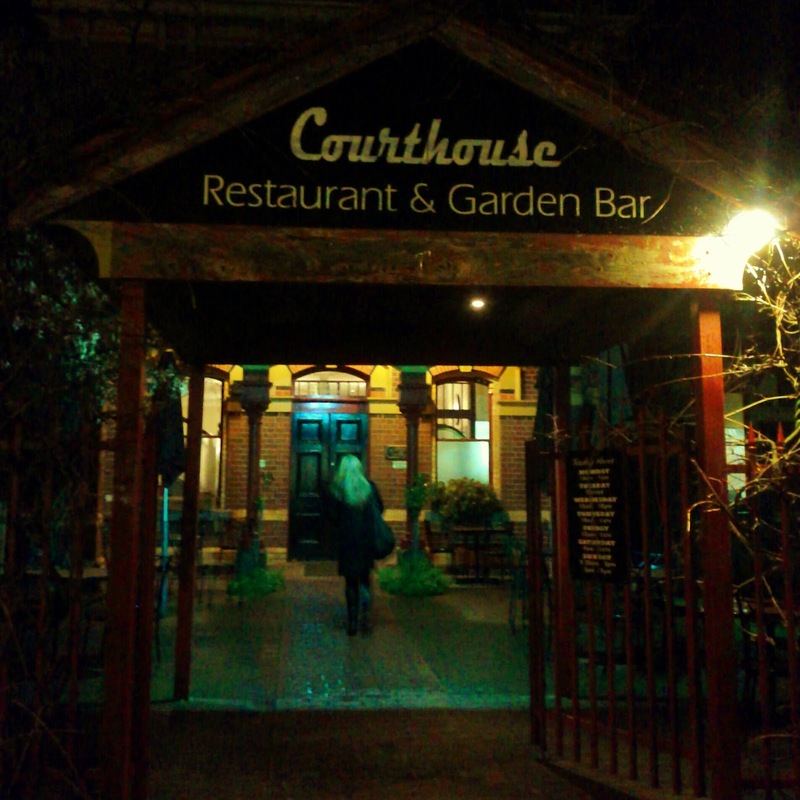 It's certainly not a bad option for an italian style meal if you are in Warragul.